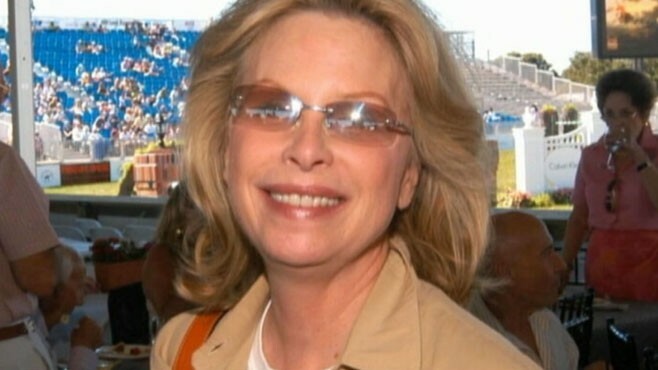 The family of Ronni Chasen, the murdered celebrity publicist at the heart of Hollywood's latest mystery, has thus far come up empty-handed in their search for a more updated will. Chasen, who established public relations firm Chasen & Company, was shot five times on Nov. 16 while she was driving in her Mercedes Benz to her home in Beverly Hills. Ann Louise Bardach, a reporter for the Daily Beast who has followed the investigation into Chasen's murder closely, said that family and investigators have only been able to track down a 1994 will that estimates Chasen's estate as being worth $6.1 million. The majority of Chasen's estate, according to the 1994 will, would go to friends, family and charities. Bardach said that Larry Cohen, the brother of Chasen, recently unlocked a safe deposit box belonging to Chasen, hoping to find a more recent will. "What happened finally is Larry Cohen was able to get into the safe deposit box and he really did it on the up and up, he asked the Beverly Hills Police Department to accompany him and unfortunately when they got to the bank and the safe deposit box, there was only some of Ronni Chasen's jewelry," Bardach said. Last week, Cohen filed a petition to become special administrator of the estate. Chasen also designated Cohen, her only immediate family member, as co-executor of her will in 1994. Their mother, Carolyn Cohen, died over 10 years ago. Bardach said that Chasen's brother believes she drafted another will in 2006, but it has yet to surface. "We're working off of a 1994 will and in the 1994 will, one niece more or less inherits everything and the other niece nothing, ten dollars." A friend and co-executor Chasen's estate said she is "suspicious" of Chasen's murder though she "didn't sense any fear" in her friend. Martha Smilgis cast some doubt on the possibility of there being a more updated will from 2006. Smilgis, who had been friends with Chasen for 30 years, said Chasen never mentioned her will again after 1994 until this past September. Smilgis said she had "no idea" about a will from 2006. "She was smart, fun and a good business person," said Smilgis, who noted that she was annoyed at media reports that Chasen was struggling in a cut-throat public relations profession as an older person. "I think p.r. people really liked and respected her. There was nothing that would remotely suggest murder." During her career, Chasen, 64, successfully campaigned on behalf of clients who received Academy Awards, including the film, "Driving Miss Daisy," which won the Oscar for Best Picture in 1989. Smilgis said her immediate reaction to the killing was that it was a random burglary, because Chasen was driving a luxury sedan. But Smilgis eventually became more disturbed by the killing because it occurred in a typically safe area. "I'm suspicious about the death, but that said, it could be random," said Smilgis, who said Chasen's mention of her will was in casual conversation. "This is the last person who was going to die. She had perfect health habits. She didn't drink or smoke; she took thousands of vitamins." Police are being tight-lipped about possible suspects. Chasen, who was not married and had no children, left her brother "any items of my personal property that my brother selects within sixty days of my death." Larry Cohen declined to comment. Jane Peebles, an attorney with 26 years of experience in estate planning issues, said the role of the executor is to safeguard the deceased's assets and it is unlikely there was tension in Chasen's relationship with her brother when she gave him that role. Instead of maliciously omitting siblings as direct beneficiaries of wills, estate owners "may not want siblings in some financial situations to pay additional estate taxes and believe they don't need an additional inheritance," said Peebles. Chasen also bequeathed specific amounts of money and personal possessions to friends and family members, including the largest amount, $50,000 to her niece, Melissa Cohen. Melissa Cohen declined to comment. The will also directed a small amount of $10 to another niece, Jill Gatsby. Calls to Jill Gatsby were not immediately returned. Peebles said it is not unusual for an estate owner to leave small amounts, such as that which Chasen allocated to her niece, in a will. "Typically when the amount is that small, it's really sending a message to the beneficiary," said Peebles. Peebles said she could not infer whether there was conflict in Casen's family. She said she would be surprised if 1994 was the last time Chasen touched her will. "We recommend clients take a look at their plans every three to five years," said Peebles, a principal of the law firm, Karlin & Peebles, in Beverly Hills. "There were many changes in estate tax law in 2001. Anyone with a taxable estate over $1 million would have been urged to check the plan." Another estate attorney, Alexis Neely of PersonalFamilyLawyer.com, said although she recommends clients review their will on an annual basis, it is not uncommon if Chasen did not touch her will since 1994. "Most people don't want to think about their mortality," said Neely. The Beverly Hills Police department said it is "actively investigating the Ronni Chasen homicide" and that detectives have received "numerous tips." Police said they received tips that Harold Smith, who had previous burglary and drug possession charges, was a possible suspect before he shot and killed himself on December 1. The police reiterated their statement about Harris from Friday that "at this time it is unknown if this individual was involved in the Chasen homicide," though they are still looking for suspects.